Join us at Paradise Point for an incredible 10 days of medical training on the river! Enjoy a spectacular wilderness camp (hot showers, huge beach, river front camping) and free whitewater rafting while getting certified as a Wilderness First Responder (WFR). The WFR course is designed to provide you with the tools to make critical medical and evacuation decisions in remote locations. Outdoor classroom lectures and demonstrations are combined with realistic scenarios where mock patients will challenge you to integrate your learning. Learning takes place both in our covered classroom and in surrounding outdoor settings regardless of weather conditions. The weather in this area is typically wonderful in early September (80's and sunny), but come prepared for wet, cold, and warm environments. Paradise Point is literally surrounded by Wilderness Areas, so bring your kayak, fly-rod, SUP, mountain bike, hammock and a good book. "Paradise Point is the ideal location to learn wilderness first responder skills. A beautiful riverside camp surrounded by wilderness with excellent kitchen and bathroom facilities." Certification: Participants are required to pass both written and practical examinations to obtain WFR and CPR certification. Successful course completion earns you a WMI Adult & Child CPR certification and a WMI Wilderness First Responder certification. 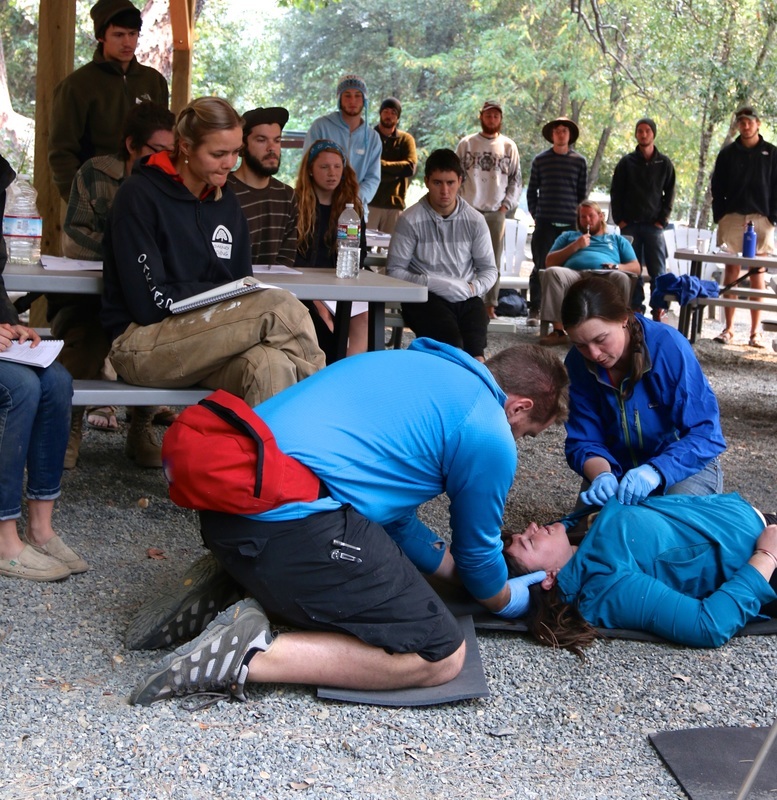 EMTs will earn a Wilderness EMT certification. All certifications are current for two years. A full outdoor kitchen with propane stoves and griddles, granite countertops, cooking gear, and coolers to keep food cold. 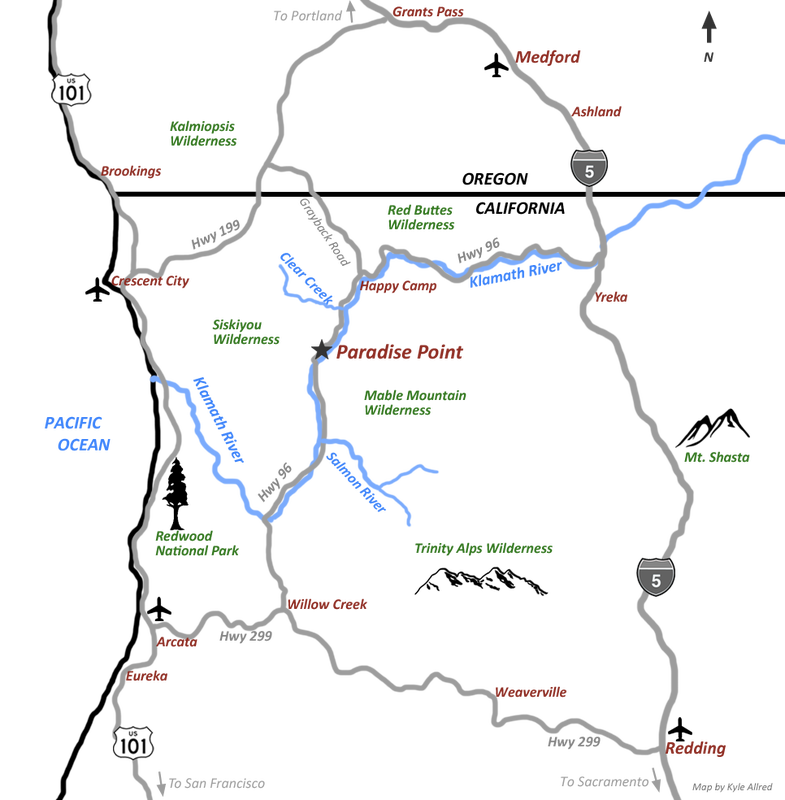 FREE: Professionally guided whitewater rafting on the class 3 Klamath River scheduled during the "day off" from WFR training (1/2 day of rafting includes rafting equipment and lunch. Rafting is optional). The whitewater guides are happy to teach those interested the basics of raft guiding and swift water skills (how to swim effectively in a rapid, throw bag rescue use, how to set a ferry angle, and more). ​Day 1: WFR course begins at 9 a.m. at Paradise Point. Days 2-5: Course continues at Paradise Point. 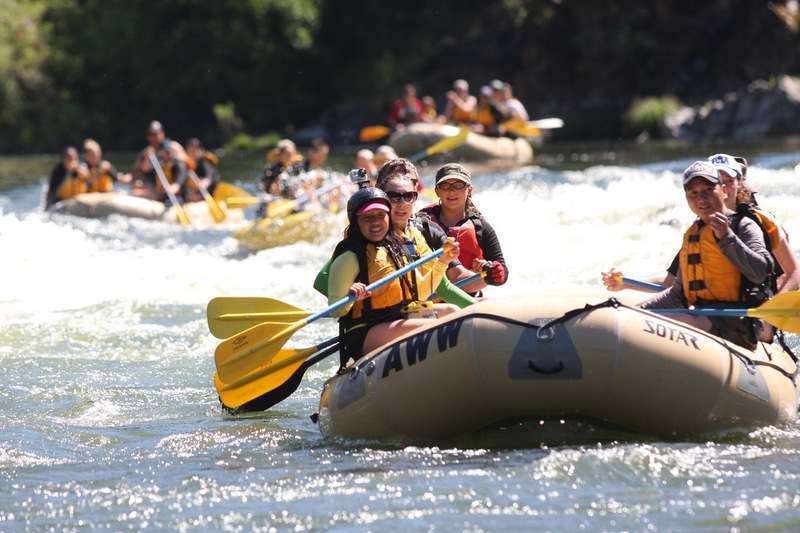 Day 6: Day off from WFR instruction and FREE whitewater rafting on the Lower Klamath River (rafting is optional and concludes with a provided lunch, giving you the afternoon off to relax). Days 7-10: Course continues at Paradise Point and concludes at 5pm on Day 10. Multiple payment types are accepted through PayPal. If you prefer to pay by check, please email us.